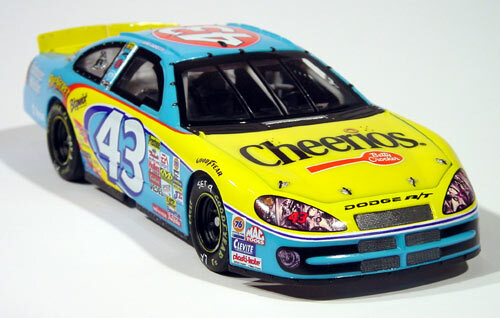 Here's my replica of John Andretti's 2001 Petty Racing team Cheerios Dodge Intrepid. 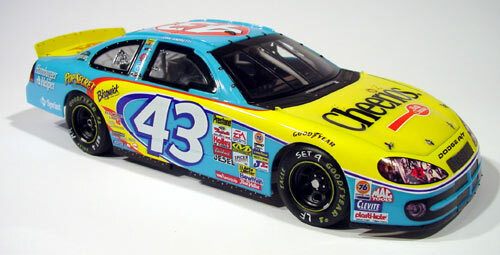 I built this almost straight out of the box from the Revell model car kit. 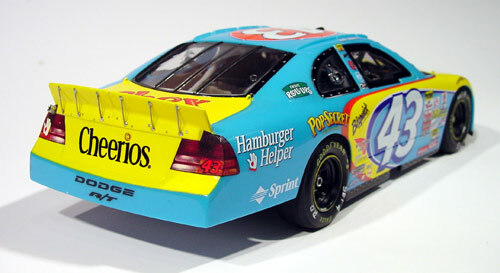 For more realism, I added was the rear spoiler struts and the overflow tube underneath the spoiler. I also had to grind out the wheel wells to a more realistic scale thickness. Otherwise if left alone the wheel wells would have looked like they are three or four inches thick. All in all, a pretty nice kit, that builds up to a great looking replica.